Monthly Dark Goddess Tarot readings for our lodge and for the world. Q: I fear for the future of my friends and relatives whose kind have been threatened during this election season. How do I best help them? A: The dark goddesses who have come in answer to your question are Athena, Crow Mother, and Isis. 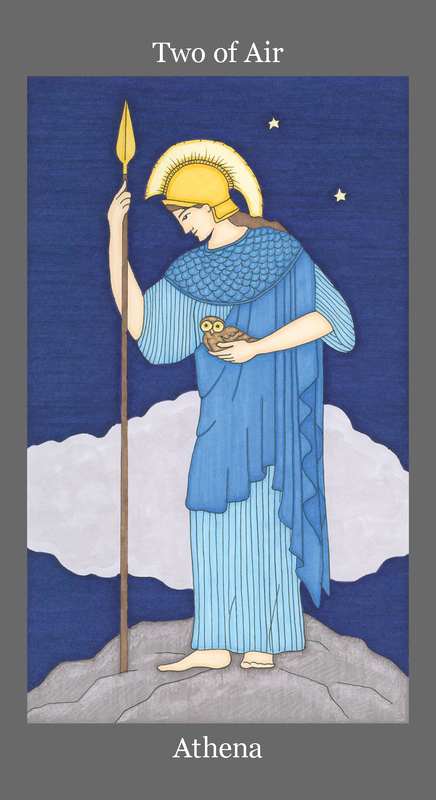 Although it appears that Athena and Isis have their backs to Crow Mother in the middle, they show attitudes of protection not rejection. And they are all connected through their winged forms of power: the Owl, the Crow, the Kite. The owl sees, the crow speaks, and the kite strikes. Athena on the left says, Use your reason. See through the fog of your fear. Do not hold on to it and do not burden them with your fear for them. Clearly assess the risks and the opportunities. Remain vigilant. Stand ready to act when the moment arises by using your power of thought to rehearse the words you will speak for justice. Work the system by knowing the law, its possible protections, and its avenues toward enacting change. Work the magic in deep levels of reality, in dreams and art and sacred song, and trust that your spells will ripple into being supported from beneath and from above. 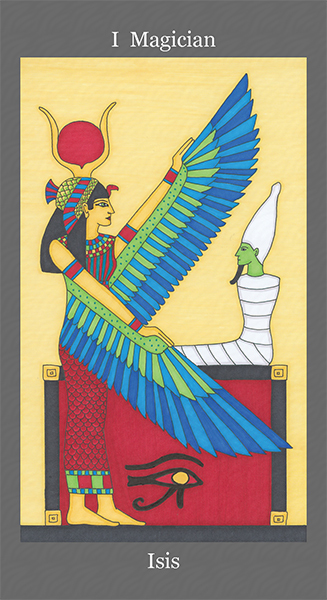 On the other hand, Isis creates change using her own brand of magic and her own words of power. She sees clearly what she wants to exist and works marvelously toward its manifestation. 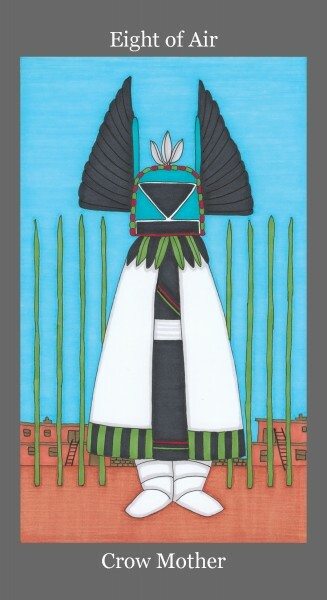 Crow Mother with her fence in the middle warns of the danger in mixing up these two ways of seeing and acting. Both are required. Both must be given attention. You must be strong and disciplined enough to do both these things. You do it by continuing to breathe. Breathe in and breathe out. See the inhale, the exhale, and the pause in between that separates the two. Because these two ways of seeing and acting must remain separate, do not work magic to influence mundane events. It’s a misdirection of your creative forces and a band-aid at best. Neither let the requirements of rationality corrupt the power of mystery. Work the magic in deep levels of reality, in dreams and art and sacred song, and trust that your spells will ripple into being supported from beneath and from above. Get a Temple Reading from Ellen for only $35. unless you specifically request that it not be.